Pool balls should be a few obvious things, shouldn't they? The same size in a set, the same shape, and certainly the same from table to table throughout the same poolroom. Pool ball weights should be the same set-to-set and of course, within the same set. But often they aren't. First, recognize the make and manufacture of some coin-op tables. Coin-operated tables rely on magnetic cue balls or even different weighted or different sized cue balls. This is so that the cue will return for use following a scratch shot, while object balls remain pocketed. Instruction that emphasizes this type of "coin-op" or "bar table" play needs to take into account the difficulty of drawing the overweight/oversized cue ball, and different angles of incidence off contact with the rails, etc. Often, these coin-op "instructions" become errors of omission, especially in Eight Ball books that emphasize bar play (Eight Ball being a very common league or tournament game at billiards bars). Little makes billiards players as frustrated as worn pool balls. Though they are made of solid plastic and are designed to withstand untold thousands of impacts from rough play, they do get worn, however slightly, over time. In a cheap pool hall with lots of action but few replacement parts paid for, the balls will get noticeably smaller (and lighter). 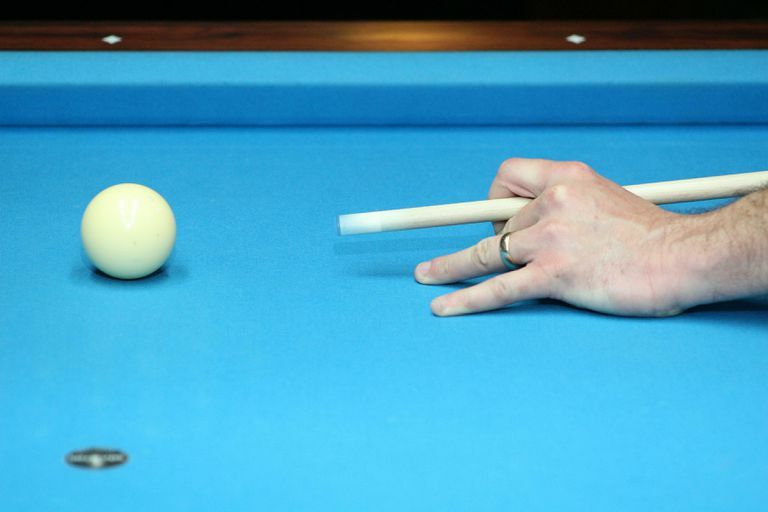 Run a cue atop three balls together if you think one is smaller and lighter than the others in a set. Believe it or not, you may thus see a pro substitute certain pool balls to make for a uniform set on a practice table—for example, replacing the worn 9-ball with a 10- or 11-ball, some striped pool ball, for the rack for practice games of Nine Ball. Petty and stupid, but true—some room owners won't take the trouble to have uniform pool balls between tables in their hall, making the game "extra fun" between sessions at the same place. So me and players like me wind up switching balls between tables to try to "build" a good, uniform set. 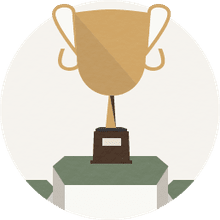 Likewise, there is no universal standard for pool balls as pure equipment to adjust for different sized pool tables, so unlucky competitors may play the same balls on different size tables or vice versa in the same tournament or pool league session. In other words, many readers have been winning on eight-foot tables to switch to nine-foot tables in the middle of a tournament or league session, or vice versa. Many years ago, the earliest pool balls were honed from carved wood. Imagine the intense difficulty inherent in trying to make complete, round sets of uniform pool balls out of wood. Soon, ivory took over the sport—and the elephants of the world were hunted to near extinction as billiards balls became sought after commodities and the game grew to record numbers thanks to regular sets of balls. The "ivories" made for pool balls with a unique feel for play. If you get the chance to roll a few shots with ivory balls, do so. It's quite a different feeling than is offered by more modern composite pool balls. John Hyatt created modern plastics solely for the purpose of building better pool balls. He saved elephants and condemned plastics to landfills for 10,000 years in one go. His early attempts at "collodion" pool balls were flammable, and even explosive under stress. Imagine someone making a truly explosive break shot using early modern pool balls. Simply put, one can go cheap on pool balls or spend a little more and get far more quality at the tables. Cheap room owners skimp and hurt their customers' games in the process. Yes, there's nothing quite like shooting with a set of non-uniform balls, with some a little smaller in diameter than others, some with more elastic/resilient surfaces than others, plus pool balls whose colors fade with wear. Disgusting. And more shots are missed as you desperately try to adjust between varied pool balls. Shame on those room owners, and a greater shame that there are many thousands of these cheap owners, and thus lousy equipment, worldwide. In many places, it seems there are fewer halls with adequate equipment than not. Balls ought to be cleaned promptly when they begin to feel dirty to the touch, which can make them cling together visibly for extra time after impact, destroying the shot and making an otherwise perfect stroke cause a pocket miss. A little water and a quick towel dry are often all that are needed. Many billiard parlors (the ones that appreciate their customers) use polish machines to wax balls in much the same function as a bowling ball cleaning machine.